AUSTIN, TEXAS, Nov. 09, 2018 (GLOBE NEWSWIRE) -- BOXX Technologies, the leading innovator of high-performance computer workstations, rendering systems, and servers, today announced their designation as an official sponsor of various SOLIDWORKS User Groups (SWUGs) throughout the United States. SWUGs provide education and networking opportunities for engineers and product designers who rely on the renowned 3D CAD design software. 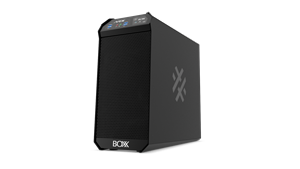 A designated SOLIDWORKS Solution Partner and leading manufacturer of SOLIDWORKS-certified APEXX workstations, BOXX uses SOLIDWORKS software to design its workstation, server, and rendering system chassis.